Today, grab a chance to get your favorite popcorn at Brenden Theaters –so deliciously prepared for you. Tell your friends of this offer, too. It’s totally free and no necessary purchase required. 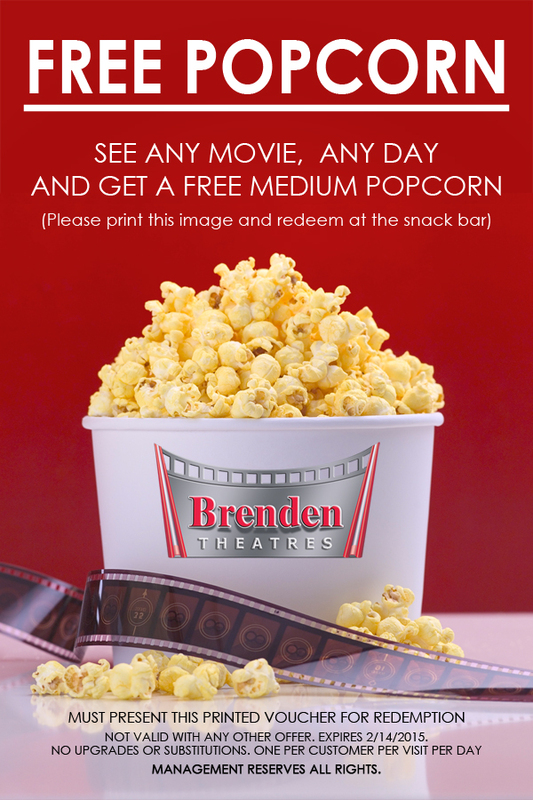 Simply print out your voucher here and present it at your participating Brenden Theaters –catch it while you can!